when visiting any of the fabulous art museums in New York City. Try the Met, MoMA, the Whitney, or the Brooklyn Museum. Let us create a seamless journey through the Metropolitan Museum's labyrinth (2 million square feet of floor space). We'll visit: Bruegel's The Harvesters; Vermeer's Woman with a Water Pitcher; the Assyrian palace room of King Ashurnasirpal II; Louis Comfort Tiffany's Autumn Landscape; and The Temple of Dendur, just to name a few. 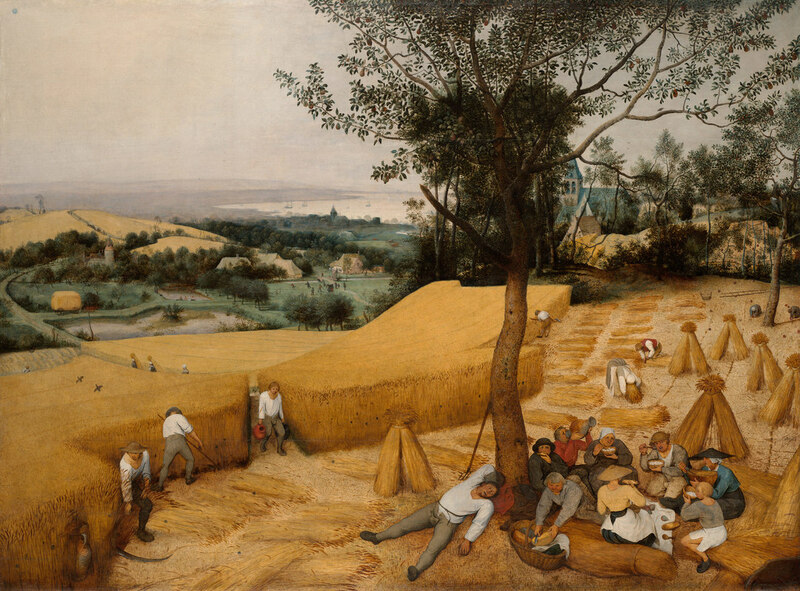 The Harvesters, Pieter Bruegel the Elder, 1565. The Museum of Modern Art is home to some of the world's finest artistic treasures. Let us show you the way to Van Gogh's Starry Night, Picasso's Les Demoiselles d’Avignon, Rousseau's Sleeping Gypsy and Matisse's Dance I. And that's just for starters. 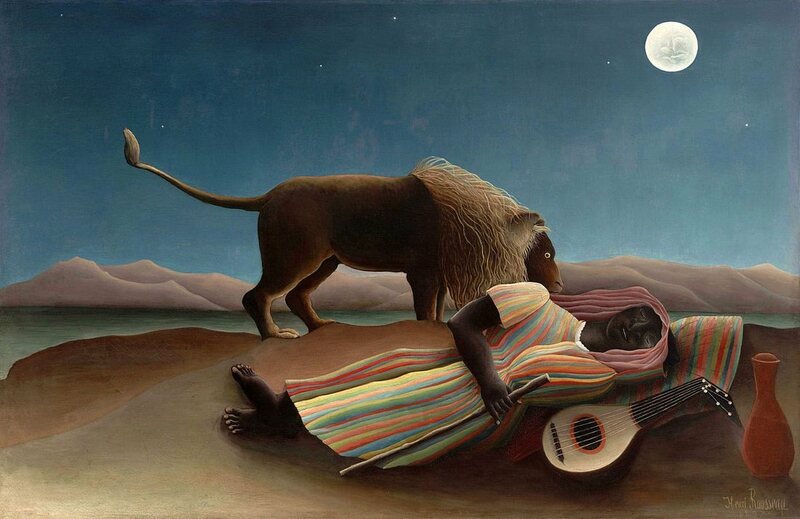 Sleeping Gypsy, Henri Rousseau, 1897. We start with Judy Chicago's The Dinner Party en route to the renowned Egyptian collection's 5,000-year-old Bird Lady. We'll also visit the portrait of Emily Roebling, who led the construction of the Brooklyn Bridge, and new works by Kehinde Wiley and Kara Walker. Our tour wraps with the romantic tale of Albert Bierstadt's Storm in the Rocky Mountains. 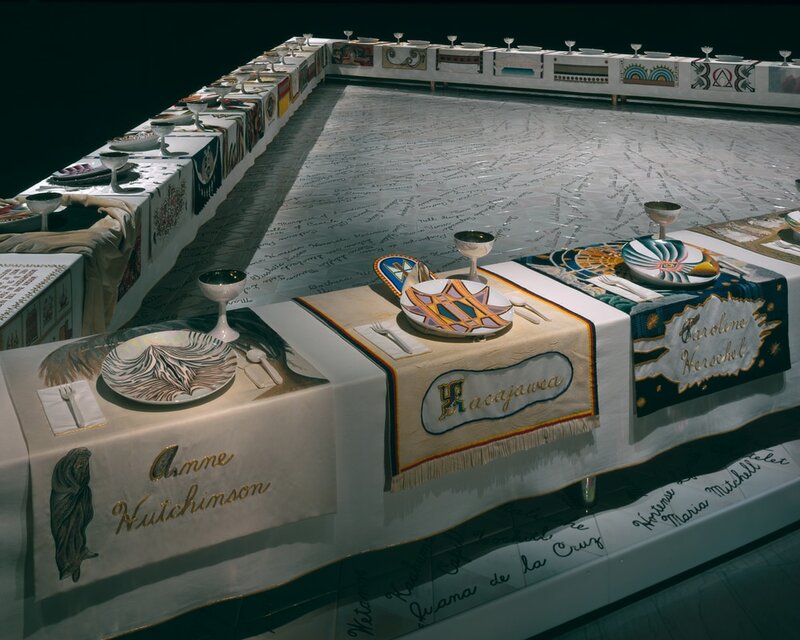 The Dinner Party, Judy Chicago, 1979. Like us on ​Facebook! Follow us on Instagram! Follow us on Twitter!